Everything about the rose is harmonious, especially her balance between vigorous growth and delicate beauty, vibrant autumn fruit and heady summer fragrance. 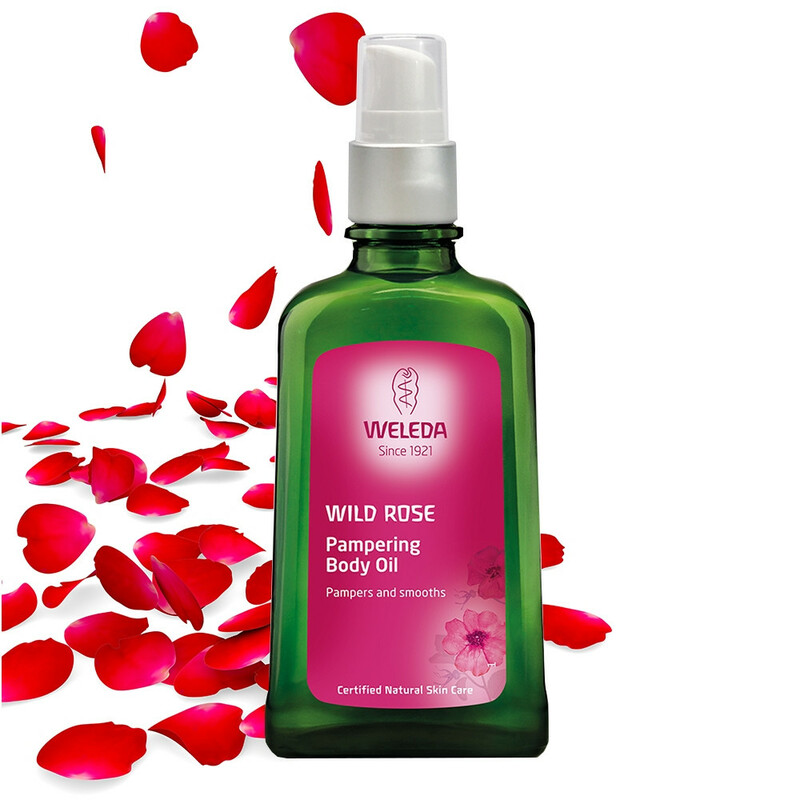 Captured in this indulgent body oil comes harmony to the senses from precious organic oil of wild roses, carefully blended with sweet almond and organic jojoba oil. Your skin drinks in goodness while the delicate scent of damask roses soothes your spirit. Ingredients: Simmondsia Chinensis (Jojoba) Seed Oil, Prunus Amygdalus Dulcis (Sweet Almond) Oil, Rosa Moschata Seed Oil, Rosa Damascena Flower Oil, Fragrance (Parfum)*, Limonene*, Linalool*, Citronellol*, Benzyl Alcohol*, Benzyl Benzoate*, Geraniol*, Citral*, Eugenol*, Farnesol*.